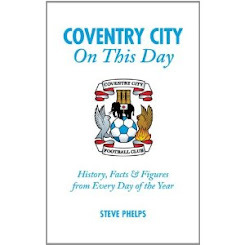 The last time City played Portsmouth in a top flight fixture, April 1988, ‘Theme from S-Express’ topped the UK charts, Highfield Road resembled a beach and the match programme cost £1. 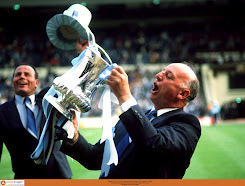 After the Wembley triumph sportswear giants 'Hummel' introduced their sky blue and yellow replica kits as John Sillett began to shop in Harrods instead of Woolworths. 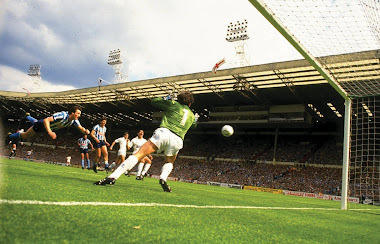 With three games remaining the Sky Blues were ninth in Division One as ‘Pompey’ brought their dreadful salmon pink attire to Highfield Road sat in the relegation zone with Watford and Oxford United. The programme displayed each player's kit sponsor in the days prior to energy drinks and healthy eating. Lloyd McGrath’s kit was sponsored by ‘Ansells’, Graham Rodger by ‘Park Lane’ nightclub (soon to be Mr G’s – I bet he didn’t have to queue up like the rest of us), Trevor Peake by ‘The Oak’ in Baginton and David Speedie by the ‘Shilton Arms’. 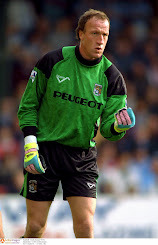 In Geoff Allman’s ‘Man to Watch’ column the featured star played at Highfield Road for the first time as City supporters took the opportunity to see prolific lower league marksman Mick Quinn in action. City's win consigned Alan Ball’s side to relegation. 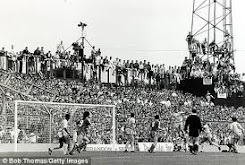 Brian Kilcline’s penalty took the points for Sillett’s men as Portsmouth's top flight tenure lasted just one season. Quinn later moved to Newcastle United before Bobby Gould signed him, initially on loan, in the winter of 1992. 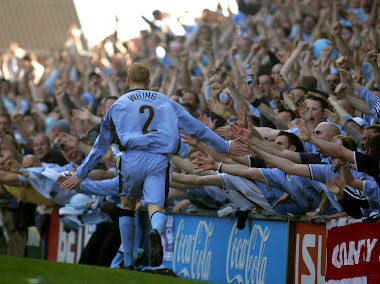 He scored in his first six league games to set a new top flight club record which stands to this day. 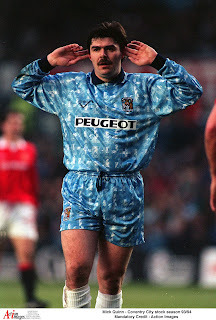 Mick Quinn was hugely popular and always made time for the supporters during his spell at Coventry City. Having joined in November he netted 17 in 27 games as City finished the season in 15th place. Highlights included the 5-1 win against Liverpool and a 5-2 triumph at Blackburn Rovers. On the opening day of 1993/94 Mick celebrated surely his finest hour with a hat-trick past David Seaman at Highbury. It’s not too often we peg back deficits so to do this twice in one game down at Cardiff was some achievement. 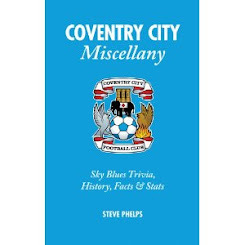 Two cracking goals, another missed penalty, the woodwork struck and a 94th minute leveller had Sky Blues’ fans leaping off their respective seats whether at the game or following via CWR or on Gillette Soccer Special. Every game is massive along with the games played by our rivals, Bristol City’s games are almost as important as ours. Living 30 minutes from their ground I know they are looking over their shoulders. By 5pm on Saturday we could be out of the relegation zone if Middlesbrough win as expected. The 9th April at Ashton Gate could well be our biggest game since relegation and I know we can do it. Really enjoying the weekly trip down memory lane, Steve!